Valkyria Chronicles 4 Review - HEY! HEY!! LISTEN!!! "The day our hometown burned... That was the day we enlisted." Back in 2008, when the PlayStation 3 was still young, Sega released a little-known game called Valkyria Chronicles. 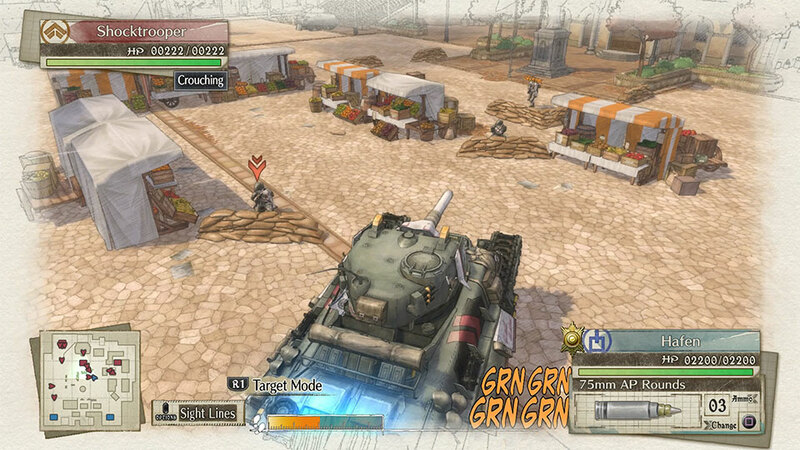 With its excellent strategic gameplay and icon art style, Valkyria Chronicles quickly became one of the most notable games the system had to offer. Ten years, two a sequel and a spin-off later, Valkyria Chronicles 4 has at long last reached our shores. Luckily, Valkyria Chronicles 4 looks to forsake the more action-oriented gameplay of last year’s Valkyria Revolution. Returning to its roots, this fourth entry could very well surpass the original title. Is Valkyria Chronicles 4 a war worth fighting for? Valkyria Chronicles 4 takes place in Europa during the year 1935 EC. With the breaking of a century-long peace treaty, Europa’s two superpowers, the Empire and the Federation, broke away and clashed. This was the start of the Second Europan War. Three months following the start of the war, a young Lt. Claude Wallace finds himself in an open field of flowers. Valkyria Chronicles 4 starts like any good war story, with childhood friends and a tank. Claude and his childhood bully-turned-friend Raz rest their battle ready tank. Noticing a change in the winds, the crew jumps into action, quite literally in some cases. One victory becomes many as Squad E becomes to be known as an undefeated force. Taking notice of this promise, HQ assigns the squad to a secret mission: Operation Northern Cross. The ultimate goal of this movement is to turn the tide of war. Claude’s luck runs its course, however, when a familiar face appears as back up. A genius grenadier by the name of Riley Miller arrives on the scene and brings up painful memories. With bad blood within Squad E’s own ranks, the fighting isn’t exclusively directed to the enemy at hand. From the get-go, Valkyria Chronicles 4 plays out much like its PlayStation 3 predecessor. This is a tale of war focusing on bonds of friendship; nostalgia at its finest. Unlike the original, Valkyria Chronicles 4 is told in media res. Each story segment is broken up into chapters and sub-chapters. While this does conveniently break up the game into nice sized serving, it can admittedly feel a bit oddly paced at times. The game starts on the battlefield with Squad E already properly established. As the game’s narrative marches on, characters cannot help but look back. It is in these moments that we learn the ins and outs of each character. Who is Kai? Why is Lt. Wallace called “Scardey-Claude?” The way the story unfolds allows for players to jump into the action. As they do, they will slowly become more and more attached to the soldiers the aim to protect. 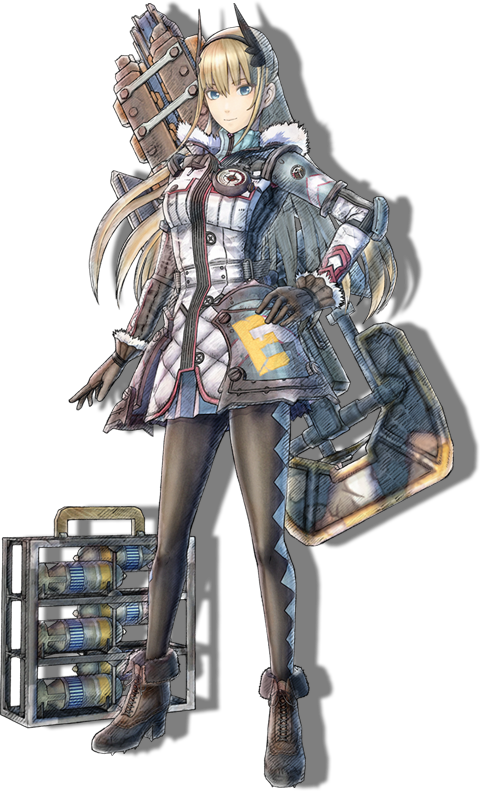 As with most Valkyria Chronicles, one of Valkyria Chronicles 4‘s cast of characters. From Claude and Kai to Aladdin and Brittany, each character has their own motivations and reason to live. It is for that very reason that players will drive to keep them alive. While some strategy games treat characters like pieces on a chess board, each member of Squad E has the potential to feel like extended family. Ultimately their motivations to succeed become ours, never leaving a man behind. In terms of gameplay, veterans of Valkyria Chronicles, Valkyria Chronicles 2 and Valkyria Chronicles Remastered should know exactly what to expect. 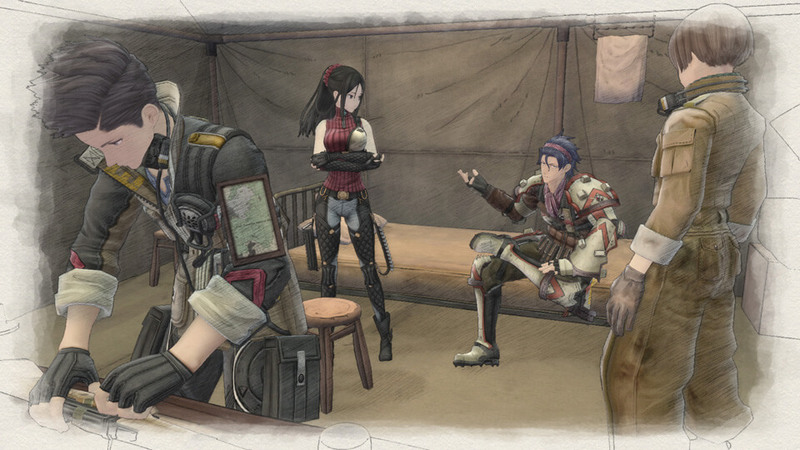 For newcomers, Valkyria Chronicles is truly one of a kind. 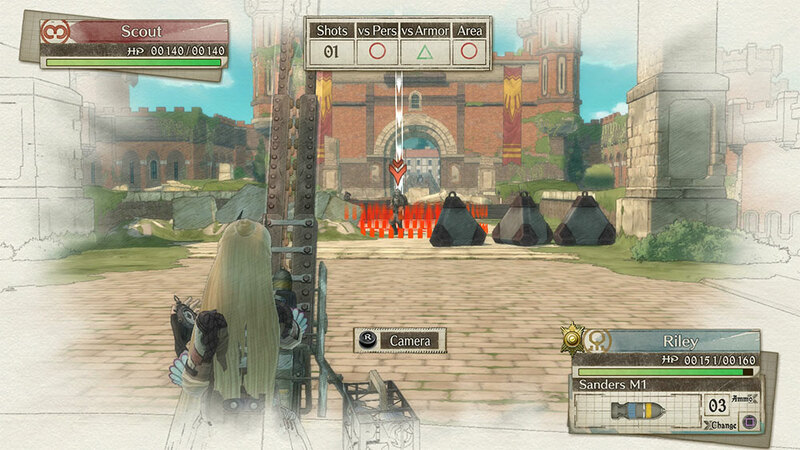 As with most Strategy Role-Playing Games, Each battle begins with assigning units to their positions. While this process is made relatively easy, is it one of the most crucial parts of any mission. Having a well-balanced team allows for party members to successfully support each other as well as themselves. Forget to assign a sniper? You’re gonna have a bad time. Once squad members have been assigned, the real battle begins. Each side can make a set number of commands each turn. This number is based on certain factors such as remaining squad members in the field. After selecting a character on the map, the player is given full control. The character can run, aim, and fire at the enemy, all in real time. 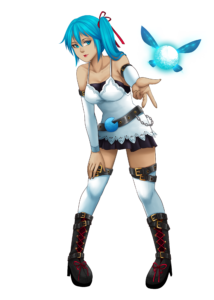 As this is an SRPG, players won’t be able to simply run and gun their opposition. After a single shot of their weapon of choice, the enemy is given the chance to counterfire. With this exchange complete, the chosen character will not be able to fire again. With this, it is up to the player to select another character, or the one previously chosen, at the cost of one of their Command Points. While the gameplay doesn’t sound at all revolutionary on paper, the execution is something to adore. This hybrid style of combat brings players both the tactical and action-oriented aspects of war. The way that battle all comes together in Valkyria Chronicles 4 makes each and every skirmish something to remember. With a plethora of class options such as Scout, Shocktrooper, Lancers, and Engineers, each character brings something original to the table. With so many classes, one should take special notice of the series latest class. 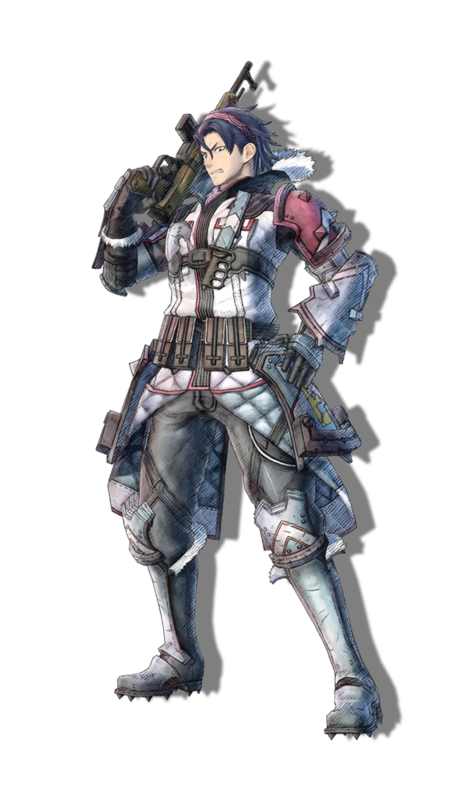 From Valkyria Chronicles and Valkyria Chronicles 2 to the worldwide unreleased Valkyria Chronicles 3, the series overall has always been the home of attractive character designs. Even ten years following her original game, Selvaria Bles is still getting figures made after her. 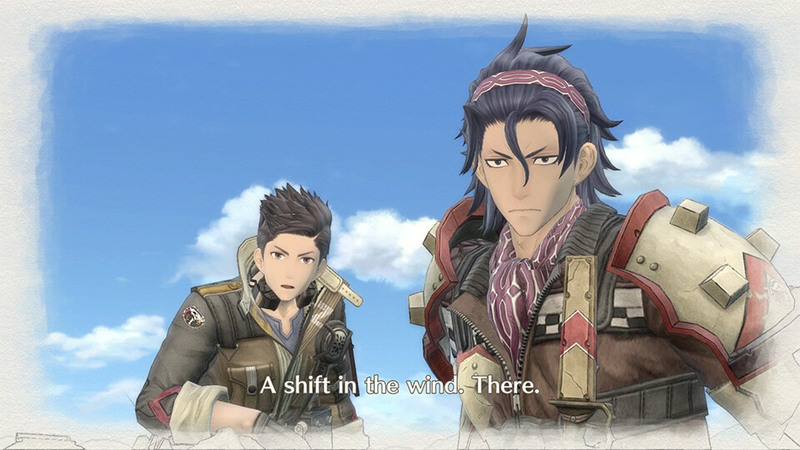 With such a legacy of unforgettable characters, it would be a shame is Valkyria Chronicles 4 did not follow suit. As luck would have it, it does. Despite the character roster being made up almost entirely of infantry, each character is still represented as a unique individual. From their hair and facial features to the way they wear their uniform, no two soldiers are alike. 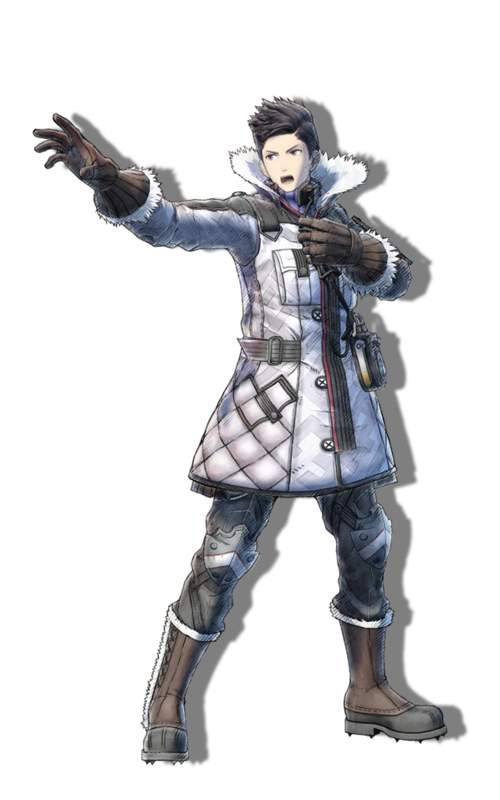 Factoring in some of the best designs including Riley’s custom uniform and the Russian-inspired Crymaria Levin, and Valkyria Chronicles 4 is filled with individuals due to stand out. Perhaps the thing that makes Valkyria Chronicles 4 stand out is its graphics. Valkyria Chronicles 4 continues the 10-year tradition of utilizing the CANVAS Engine. With the CANVAS Engine, Valkyria Chronicles 4 presents a truly gorgeous watercolor design. Each character, vehicle and building look like a work of art. The blending of beautiful watercolors mixed with masterfully executed outlines and cross-hatched give the illusion of a painting come to life. Valkyria Chronicles 4 is not just beautiful while standing, but in motion as well. Aside from the individual character models, a lot of effort has been put in the combat visuals as well. Unlike your average FPS, bullets can be seen as they are sent flying. This added visual helps determine the accuracy of the character and player alike. Even more impressive, however, is the game’s visual use of onomatopoeias. From the humming of a tanking to the popping of a rifle, the game spells out each sound effect during their corresponding animations. The key to succeeding in any Strategy RPG is patience. Rushing in à la Action RPG is a quick way to get your units killed. This is even more serious when permadeath is at hand. Rather, it is the slow and steady that wins the race. Because of this, it is imperative that SRPGs feature enjoyable Original Soundtracks. Luckily, the OST of Valkyria Chronicles 4 fits the bill. Not unlike Valkyria Chronicles Remastered before it, Valkyria Chronicles 4 offers players a beautiful orchestral soundtrack. Each track perfectly compliments the scene at hand. While at camp, the mood is joyous and upbeat. The battle music, however, balances inspiration with the incoming dread of war. When mixed with the game’s other sound effects such as bullet fire and rain, the end result is a wonderful sense of immersion that is hard to beat. In the story segment above, I discussed how indearing each member of Squad E is. From relatable motivations and distinctive gameplay, there’s no reason not to keep each party member safe. Of course, these factors are only part of the equation. The final piece, of course, is the voice acting. As a Sega/Atlus title, Valkyria Chronicles 4 is in a perfect position as far as casting goes. Atlus, in particular, has always been known for gathering some of the greatest talents in the land. From the protagonists to antagonists and everybody in between, there isn’t a single dull performance in the Second Europan War. 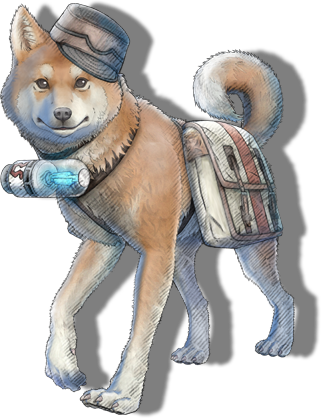 Overall, Valkyria Chronicles 4 is just what the doctor ordered. The game is a love letter to the fans of the original and series overall. Whereas Valkyria Chronicles 2 and Valkyria Revolution rode the coattails of the original, Valkyria Chronicles 4 is its long-awaited successor. The story brings players a lovable band of misfits. The word “beauty” doesn’t do this game’s graphics justice. If it was not for the random flickering shadow, one might believe that they stepped right into a painting. The gameplay feels ripped straight out of the original, improving what was already inches from perfection. Overall HEY! HEY!! LISTEN!!! gives Valkyria Chronicles 4 9.5 “Scaredy-Claudes” out of 10. Where is Valkyria Chronicles 3?